There’s nothing nicer than settling on the couch with a blanket and a brew, whilst it’s cold outside. Well add in a great new gaming site which uses Dragonfish software and you have the ultimate night in. Mobile Bingo Bonuses are here to introduce you to Snowy Bingo, which offers incredible gaming including 75 ball and 90 ball bingo, coverall jackpots, progressive jackpots and featured games. For those times when money is a little tight, make sure you head over to their complimentary bingo and instant games. Snowy Bingo is available on desktop, mobile and tablet devices, meaning you can have incredible gaming in the palm of your hand. It may have a cold theme, but you’ll feel all warm inside when you discover that Snowy Bingo offers a 300% cash match bonus on your 1st deposit. 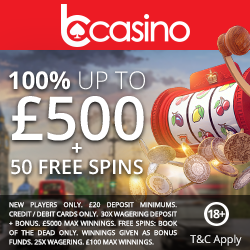 This is on a minimum £10 and is broken down by 200% bingo bonus and 100% game bonus. Once the welcome bonus is gone, we recommend you check out the promotions tab. There’s a huge range of regular promotions including Spin-Tastic, where you can win bonus spins, the Big £10,000 and the 2 Million Race; who wouldn’t want a share of 2 million loyalty points. If you love to chat with your mates and talk all things bingo, then why not tell them about Snowy Bingo and earn a little something for yourself. 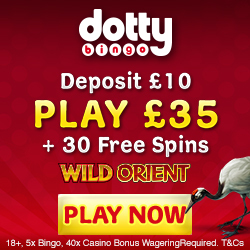 For each person you refer who deposits, you’ll receive £10 bingo bonus. There is a maximum of 15 per month, but that’s still £150 to game with. Loyalty is important to Snowy Bingo and as such they offer an amazing loyalty programme. You join upon registration and for every £1 wagered you’ll receive 12 jewels. As you earn jewels you’ll move through the 4 levels in the scheme which are bingo rookie, bingo pro, bingo master and bingo champ, with each offering bigger and better bonuses. Jewels can also be converted into additional gaming credit. Should you require any support you can contact a representative via live chat or email. They are available 24/7 and endeavour to respond within four hours. Snowy Bingo accept the usual banking methods including Credit and Debit Cards, Entropay, Paypal, Paysafe Card and Neteller. So step out of the cold, head over to Snowy Bingo and enjoy the incredible welcome bonus.